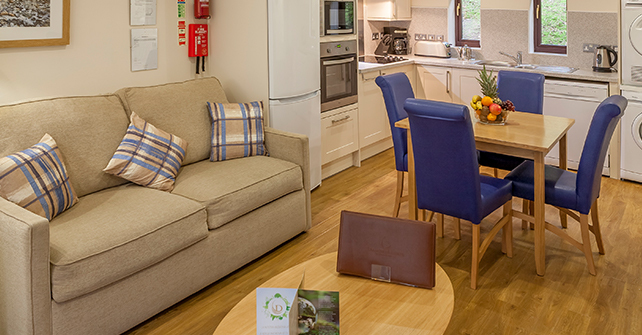 Each one bedroom superior apartment offers a double bedroom, open plan living area with sofa bed and a full bathroom complete with a shower, heated towel rail and shaver point. One bedroom superior apartments are spread over two floors with the living area and kitchen on the ground floor and a second shower room and double bedroom with a small balcony upstairs. 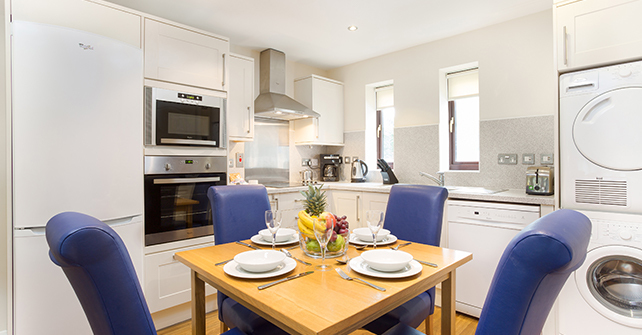 Enjoy the convenience of a full kitchen, equipped with a microwave, oven, toaster and fridge/freezer. 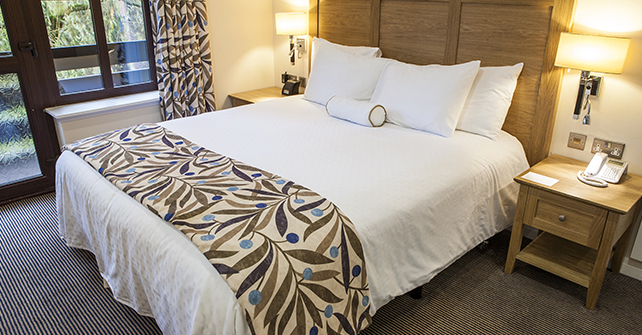 Additional in-room amenities include FREE WiFi, a flatscreen television and DVD player.